What are Eye Exams for Diabetes? All types of diabetes can threaten the health of your eyes, even before you know you have the disease. Our Copperas Cove eye doctors can see the signs of diabetes before an official diagnosis has been made by a physician! How do we do this? People with diabetes are at an increased risk of eye diseases such as glaucoma, diabetic retinopathy and cataracts. When these ocular conditions are at an early stage, they do not typically present symptoms. So without a professional eye exam, there is no way to know that you have the beginnings of an eye disease. Similarly, you can suffer from certain types of diabetes for a very long time before you notice any complications. Yet if diabetes is present, it can already be harming your eyes. When our optometrists perform a comprehensive, dilated eye exam, we inspect closely for any indication of a problem. If we detect the start of diabetic retinopathy, glaucoma or cataracts, we will also refer you for testing to rule out or confirm a diagnosis of diabetes. Our eye doctors will also treat the eye disease immediately to prevent future vision loss. The sooner we prescribe treatment, the better your prognosis. Are you wondering what to do with all this information? It’s simple – make sure to schedule regular eye exams in our Copperas Cove office, especially after age 40 and especially if you are at a high risk for diabetes. Beyond their use as a diagnostic tool to uncover diabetes, eye exams are critical for people who already know they have diabetes. According to many scientific studies, the incidence of eye disease and vision problems is drastically reduced when diabetes is under proper control. Maintaining blood glucose levels within the parameters set by your physician goes a long way towards preventing eye complications. 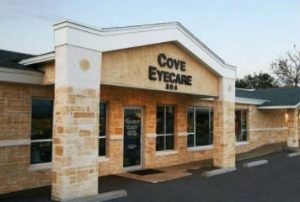 By visiting for regular eye exams in our Copperas Cove clinic, our eye doctors can keep watch on your vision. We’ll check your inner eye tissues, optic nerve and retina for any signs of glaucoma and diabetic retinopathy. If we spot any abnormalities, it may mean that a change in your diabetes treatment is required. Due to the connection between eye health and good diabetes control, we will work together with your physician and ophthalmologist to help you enjoy quality eyesight for as long as possible. Generally, your eye doctor will begin by checking your visual acuity. To check eye health, dilating eye drops will then be inserted to widen your pupils. This enables a detailed inspection of the back of your eye. Using high magnification, we can evaluate the blood vessels in the front and middle of your eye for any symptoms of diabetic retinopathy. We may also use a retinal camera to analyze the images of your retina for any leakage that may be occurring. To screen for glaucoma, we usually perform tonometry, which measures the pressure in your eye. Glaucoma can raise this pressure level, which can lead to vision loss and blindness. The procedure is quick and painless. A slit lamp (also known as a biomicroscope) will be used to assess the transparent lens of your eye for any cloudiness, which may be a sign of cataracts. If you care about your vision – take care of it! 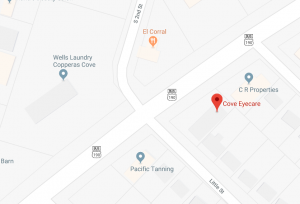 If you are at risk for diabetes, have prediabetes, or already have a diabetes diagnosis – type 1, type 2, gestational or any other type – be sure to book regular comprehensive eye exams with our Copperas Cove eye doctors.